This is a Boston M.I. 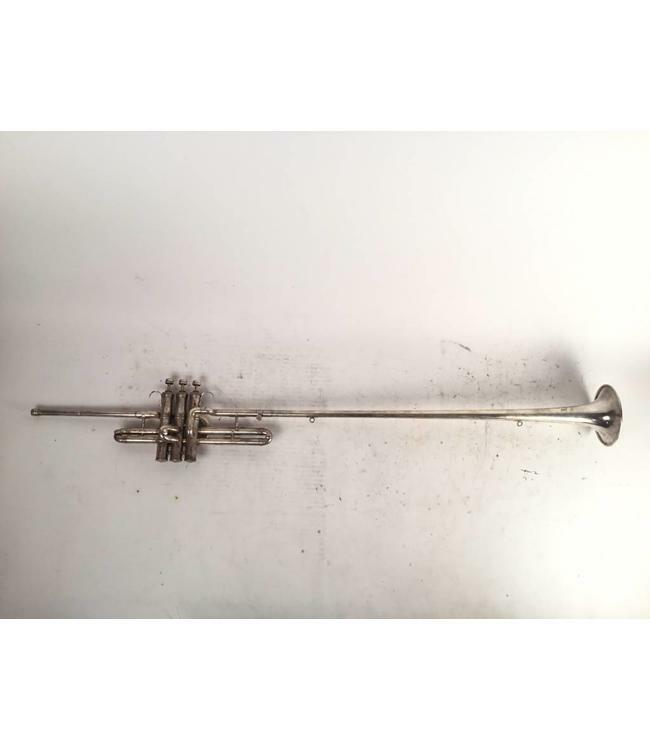 Co. herald trumpet in silver plate. Good condition, has some slight wear on valve casing. Has original case.